Dufour 21 Exceptional Value ! Ideal First Boat.NOW EVEN FURTHER REDUCTION!! 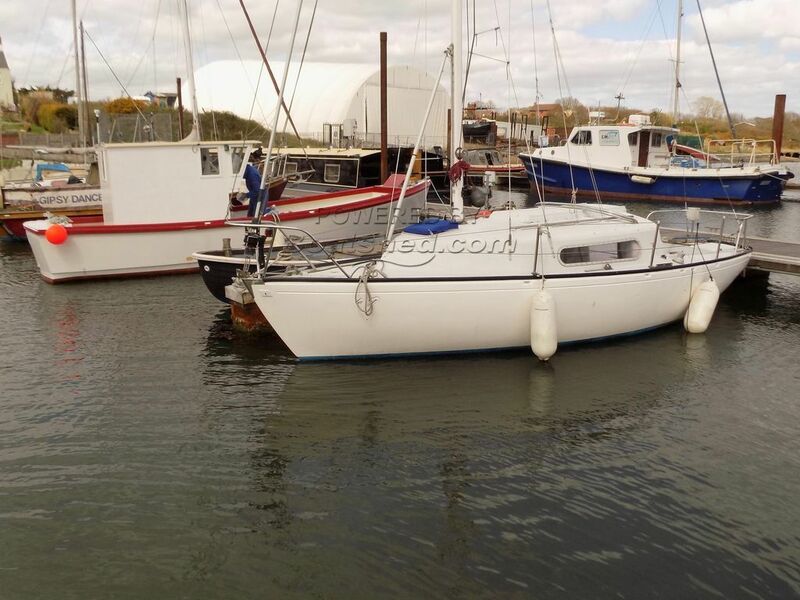 Register with Boatshed to see 79 extra photos of this Dufour 21 Exceptional Value ! Ideal First Boat.NOW EVEN FURTHER REDUCTION!! This Boat has been loved and appears to be superb condition throughout, fully fitted out and kept to a very high standard by a fastidious owner. A very well equipped Yacht for her size and age, an exceptional example of this model, which would make an ideal first sailing boat. She's on the water and ready to go. This boats last survey was in March 2015 as was the Boat Safety Certificate. Early viewing is highly recommended and now reduced in price to make her even more attractive!! A must see to fully appreciate! FURTHER REDUCTION!! This Dufour 21 Exceptional Value ! Ideal First Boat.NOW EVEN FURTHER REDUCTION!! has been personally photographed and viewed by Geoff Jaquest of Boatshed Suffolk. Click here for contact details.